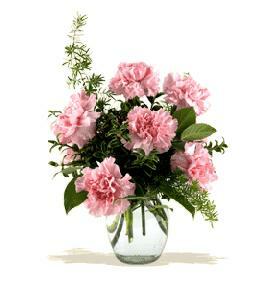 For a sincere gift, send snowy white flowers in a classic clear glass vase. 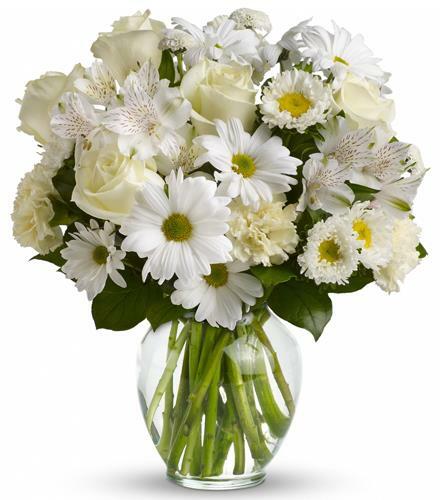 This all white bouquet is perfect for just about any occasion, from birthday and anniversary to get well and new baby and even sympathy.. 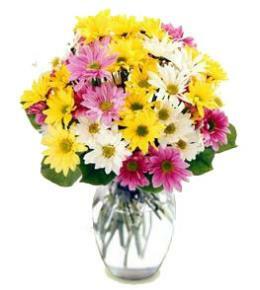 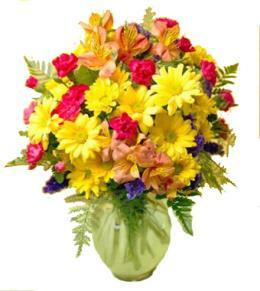 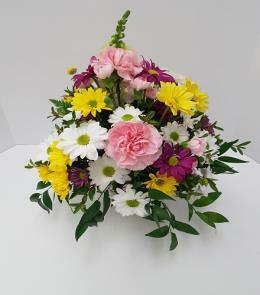 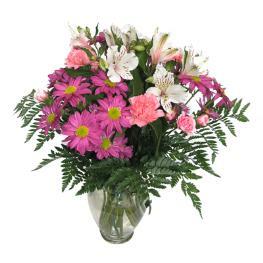 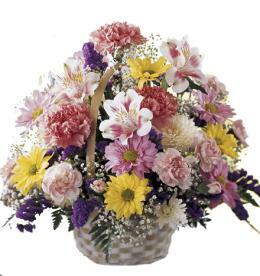 Your recipient is sure to love your gift of flowers and your card message,.